I really loved No Place Like You. I couldn’t put it down! It was fast-paced from beginning to the very end. If anybody ever mentions this book to me, I would scream at the top of my lungs, and tell that person to run to get it! I loved the characters, the setting, and the plot of the whole story. Sometimes in life, you will come across a certain that will make you feel like this (example Twilight Saga, Fifty Shades Trilogy, and Harry Potter) those are the type of books that will live with you forever. I am a big softy with Romance novels, anything that mentions people falling in love I can’t wait to read the book. The setting of this story was so vivid and beautifully written. Anytime to you leave your home town, you tend to appreciate it more and long to come back. Zach, the main character felt the same way about coming back home. He missed it because his sister was still living there, but it also reminded him of his childhood with their father. The author's writing is beautiful and I loved the way she described the characters; It's like you could be best friends with them. Leah, the main female character works for Zach’s sister in their recording studio. Leah and Zach have this unforgettable tension between them and everybody keeps wondering what the heck is going on between them. You will meet other sides of these characters throughout the book. The big things that stood out to me was the relationship between the characters. I haven’t read a book that had characters that you could love from the beginning to the end. The last book that I read that had these loveable characters were from Stephanie Meyers, EL James, and J.K. Rowling. 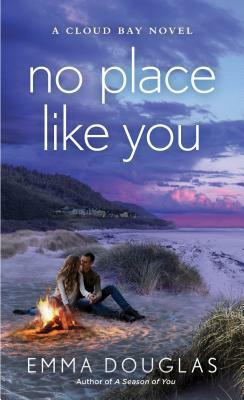 If you're looking for a great romance book that will make you feel all warm inside, then I highly recommend reading No Place Like You.